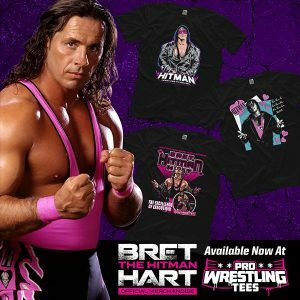 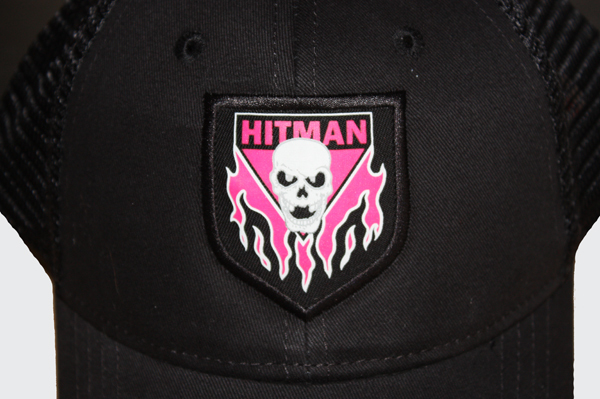 Based on the famous 90’s era Hitman ring gear, this retro style mesh back hat features an exact replica of the Hitman logo from the back side of Bret’s ring trunks. 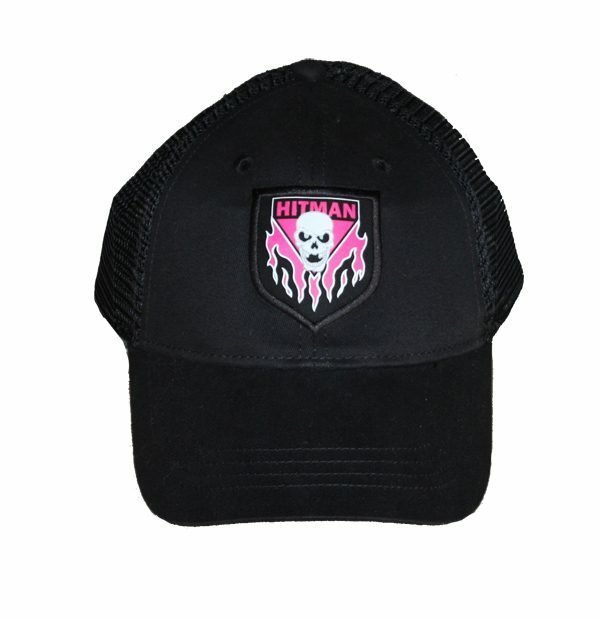 The design is printed in high resolution on a crest, then meticulously embroidered onto the front panel of the hat. 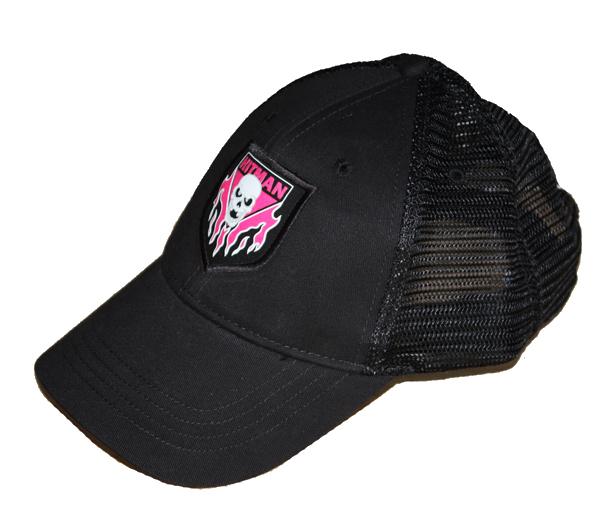 One size fits all, adjustable velcro back.